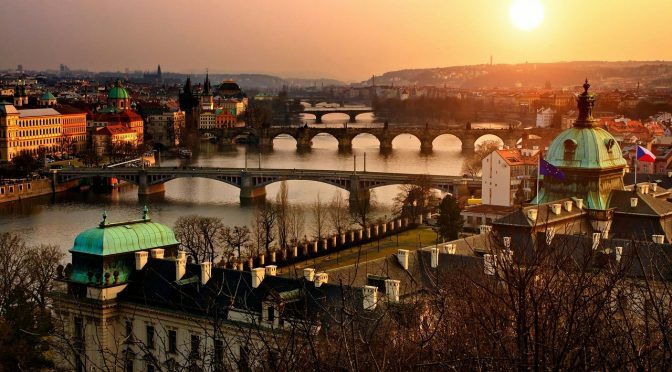 The curl project is happy to invite you to the city of Prague, the Czech Republic, where curl up 2019 will take place. curl up is our annual curl developers conference where we gather and talk Internet protocols, curl’s past, current situation and how to design its future. A weekend of curl. Previous years we’ve gathered twenty-something people for an intimate meetup in a very friendly atmosphere. The way we like it! In a spirit to move the meeting around to give different people easier travel, we have settled on the city of Prague for 2019, and we’ll be there March 29-31. This year, we’re starting off the Friday afternoon with a Symposium dedicated to “the future of HTTP” which is aimed to be less about curl and more about where HTTP is and where it will go next. Suitable for a slightly wider audience than just curl fans. That’s Friday the 29th of March, 2019. We are open for registrations and we would love to hear what you would like to come and present for us – on the topics of HTTP, of curl or related matters. I’m sure I will present something too, but it becomes a much better and more fun event if we distribute the talking as much as possible. The final program for these days is not likely to get set until much later and rather close in time to the actual event. The curl up 2019 wiki page is where you’ll find more specific details appear over time. Just go back there and see. If you want to follow the planning, help out, offer improvements or you have questions on any of this? Then join the curl-meet mailing list, which is dedicated for this! We’re happy to call our event free, or “almost free” of charge and we can do this only due to the greatness and generosity of our awesome sponsors. This year we say thanks to Mullvad, Sticker Mule, Apiary and Charles University. There’s still a chance for your company to help out too! Just get in touch. Do you think or do you have a plan make CURL able to handle natively web-socket (ws://) ? Websockets has been mentioned once or twice before so you’re not the first to ask for it. For me, the main problem with websockets is that doesn’t really fit the regular “upload/download something from/to a URL”-paradigm and that makes it difficult. But I’m open for a discussion and getting proved wrong!